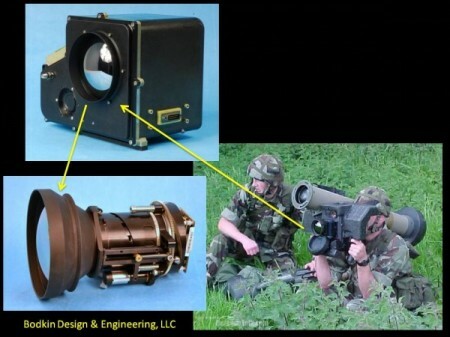 Bodkin Design & Engineering (BD&E) developed technology for a LWIR imager for integration with the next generation of the Javelin Missile system for the US Army. The system includes networking and laser range finding capabilities for far-target location. The prototype developed by BD&E is based on an uncooled design which reduces power consumption requirements, weight, and the number of batteries needed by soldiers in the field.